Have you ever tried a combination of Upma with Mirchi Bajji? Its quite tasty and unusual let me say. 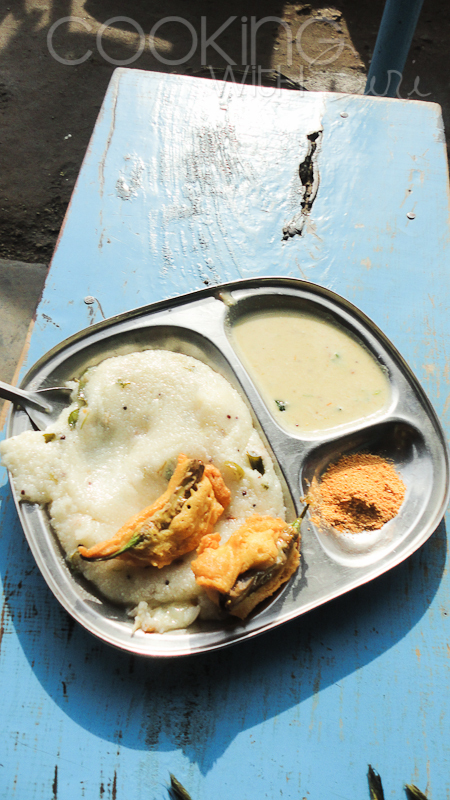 :-) During my recent visit to Mantralayam, for just a few rupees we thoroughly enjoyed this as our breakfast for both the days. Yum! 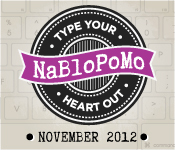 Today is Day 17 of my NaBloPoMo challenge. Check out all of the posts previously published here.